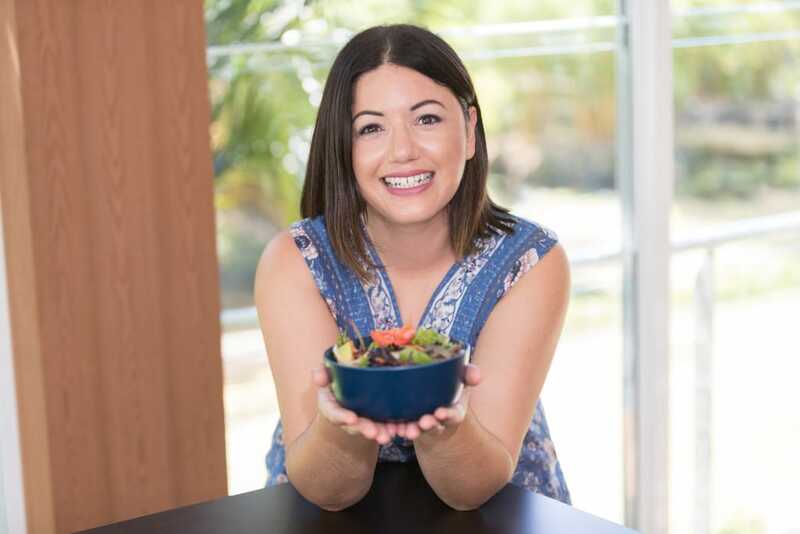 Welcome to the latest edition of my Friday Foodie series, where you get to learn a bit about the health and wellness stars who inspire me every day. This week I am featuring Elisha Yarrington, who is the creator of The Conscious Creations. Elisha is sharing her tips for healthy living and a gorgeous recipe, which I cannot wait to try. Hi I’m Elisha, from Byron Bay Australia. My health journey has been a trek across a savage landscape. From chronic depression, gut health issues and unfathomable grief. But this journey has shaped me to where I land today. I’m a transformational life coach, holistic nutritionist, yoga teacher, consultant and speaker. I work with passionate people who want to transform their health, life and spirit through action-based strategies, movement, mindset and meditation, so they can embody purpose, passion, and exceptional health. Together we create a life that is conscious, creative and committed to growth and transformation. My mentoring is unique to every person with the focus on feeling empowered, energised and enriched. From a creative upbringing in Byron Bay I have always felt deeply connected to nature, organic living, health + healing and dance and yoga. From corporate success to conscious chef. As the creator of the infamous “The Conscious Cafe” in Byron Bay, it’s been a journey of inspiring wellness and health through food, workshops, trainings, retreats and living an action-inspired life. What inspired you to start The Conscious Creations? The Conscious Creations was inspired after the closure of The Conscious Cafe. It has been 3 years since the cafe closed and in that time I have globe-trotted, researching health, wellness strategies and aligning my purpose. Albeit the cafe closed, I have continued creating in the kitchen and sharing on instagram. 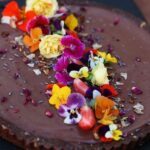 After huge amount of positive feedback to create a blog, I have just launched The Conscious Creative, where I will be sharing my recipes, insights and learnings. What exciting plans do you have coming up in 2016? Ohh shhhh.. there are many exciting secret things in the brew! 1) I am currently working on a superfood tonic powder mix that supports the adrenals, balances hormones, aids in weight loss, energises and boosts cognitive function! It will be a latte drink that people can make at home with a combination of 15 ingredients.. and…. it tastes DIVINE! As much as I am about “medicinal benefits” I believe “taste” is just as important as it elicits excitement and .. well.. love vibrations! This tonic can replace coffee, or added to coffee for a boost or smoothies. 4) Conscious Travel Guides for Bali, Byron, Sydney, Hawaii, Costa Rica. If you feel overwhelmed by all the information, take a breath. Step back. Drop into your Heart. Follow your intuition. Yes, there is insurmountable information out there from detoxing heavy metals, parasites, bacterial overgrowth, fasting, herbs, mindset etc. But, you dont need to know it all at once. It is better you take one step at a time, then get overwhelmed and go “into shut down mode”. We are all on a Health journey, a Spiritual journey, a Life journey and a Soul journey. Just breath. Come back to your intuition and your own inner knowing. 1) Okay first up, become familiar with low costing ingredients that can be used to make many things. For example, buckwheat, millet, dried coconut, juicing carrots… (maybe I will make a recipe ebook utilsing these!). These ingredients are nutritionally dense, organic and low costing. Yo can make pizza bases, pies, tarts, stir-frys.. plentiful easy low cost meals. 2) If you are not eating 100% organic yet, find out what the top “dirty dozen and clean 15” are and put your money into buying organic of the more heavily sprayed items. 3) Shop at your local farmers market, but find out who is farming organically as many farmers at markets still use pesticides. 4) Buy in bulk where you can, contact suppliers of things you use often, set up a wholesale account (getting a ABN is easy) and buy bulk. You can even split this with friends and prices come plummeting down. Vegetable stir-frys. It doesn’t take much to slice and dice carrots broccoli, cauliflower, green beans, sprinkle salt and drizzle with coconut amino sauce. Super simple, super delicious my friends. I also love baked pumpkin, rocket on the side, a drizzle of olive oil and a smear of Peace Love and Vegetables fermented cashew cheese and sauerkraut. 1) What am I truly grateful for right now? 2) Where do I see myself in 12 months? 3) How do I want to feel? Other things I do in my me time are connecting with nature by walking alone on beach tracks or rainforests trails, reading inspiring educational books, practicing yoga, dancing, making love and being with girlfriends… and scoping out new organic vego cafes! Place only 1/2 cup of walnuts in food processor and pulse. You are after a coarse ground nut not fine. We are going to add this in later for texture. Remove from food processor and leave in a bowl. Add the rest of the nuts into the food processor and blend till they become a fine meal. Add coconut flakes and blend till fine. Add cacao, ginger, cardamon, mesquite, salt and coconut oil, blend to combine. Add dates last one by one as motor runs, blend till well combined. Now add in the walnuts you pulsed in the beginning. Knead through the mix with your hands. Line a tart tin with baking paper, then transfer base mixture and press into tin. Use your fingers to press the mixture right into the grooves, and press out evenly. This process can take me sometime as I like to get an even surface base and strong thick side. Set in freezer. Drain the soaked cashews and add them to a blender with the nut milk, maple syrup and strawberries. Blend till smooth. High-speed blender recommended. Add all other ingredients and blend till combined. Be sure the coconut oil and cacao butter is mixed thoroughly through the batter. This may require you to stop the blender, use a big spoon and hand mix it in, the resume blending (repeat if necessary). Pour mixture over the base and set in the freezer. Decorate with edible flowers and fresh strawberries to serve, keep in the fridge or freezer. Elisha Yarrington is a conscious chef, holistic nutritionist, life and health mentor and a spirited yogi and dancer. The creator behind The Conscious Creative, an online blog committed to creating change, inspiring a conscious community tribe Elisha is a passionate advocate for Personal Development, Exceptional Health, Womens Leadership & Empowerment, Global Transformation through Personal Growth and Evolution. Elisha works with passionate people who want to transform their health, life and spirit through action-based strategies, movement, mindset and meditation, so they can embody purpose, passion, and remarkable health. Elisha specialises in exploring the alchemy of the senses using plant-based raw food, fermented foods, food-grade essential oils, wholefoods, medicinal mushrooms, tonic herbs combined with holistic wellness, mind-body energy connection, herbal medicine and breathwork. In addition, as yoga and dance teacher Elisha offers private detox retreats, life coaching, health mentoring, product development, menu consulting, workshops and wellness journalism aimed at creating amazing health and aligning energy with real food and integrative wellness techniques.